It may be the season of love and perfume may be top of the gift list this forthcoming Valentines day, but there’s no reason why a little token of appreciation or admiration can’t be shown throughout the spring months – rather than being confined just to one day. February is the second busiest period for fragrance throughout the year, so the high street is awash with new launches and reinvigorated franchises that are set to tempt you into parting with your cash. 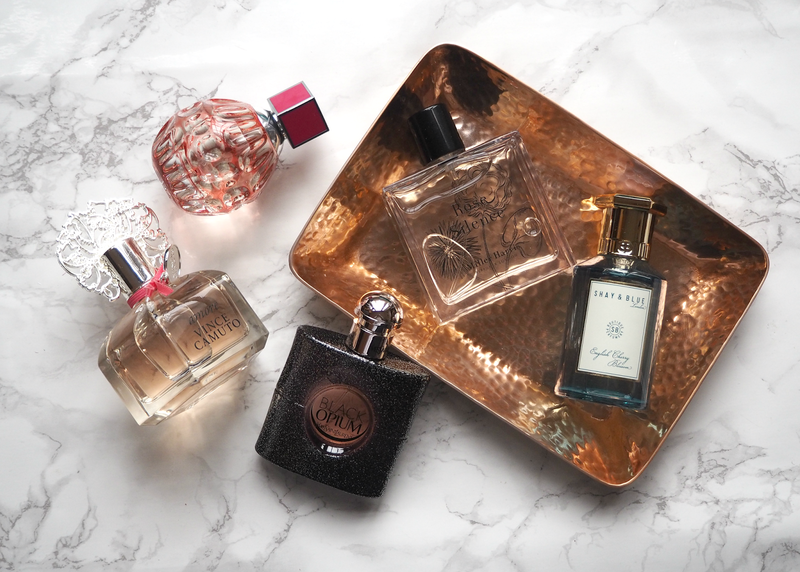 If you’re after a scent that’s modern, energetic and yet still feminine and romantic, then I’ve picked my edit of five fragrances that will tick all your boxes while looking fabulous on a dressing table. I’m not normally a fan of floral scents or girlie perfumes, but these five individually put a smile on my face and collectively provide a portfolio from which to choose the perfect scent for Valentines. Whether you buy them for yourself, hint to your partner this is the right kind of gift for February 14th, or put them on a list for a forthcoming occasion, here are five romantic perfumes that are perfect for spring. I’m a huge fan of Miller Harris scents; they were the original ‘Jo Malone’ before Jo Malone became cool, thanks to their quintessential British heritage. 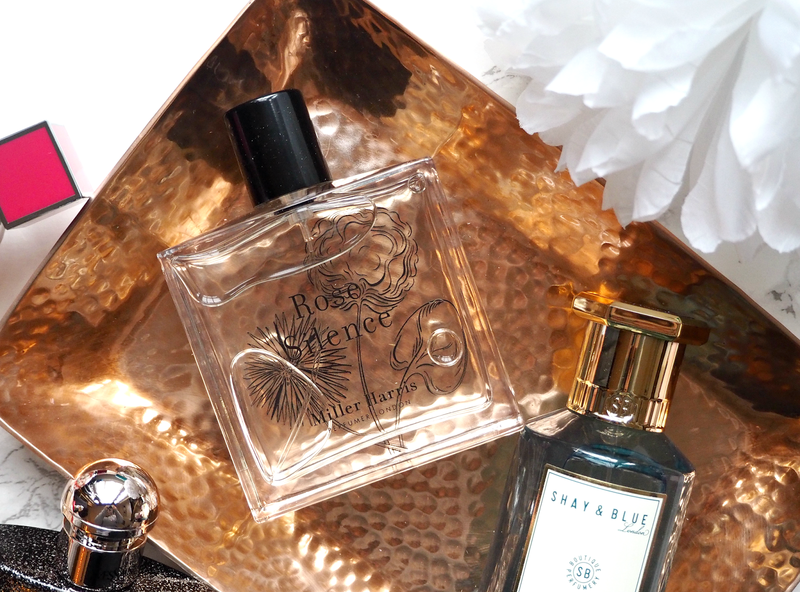 Their elegant bottles, simple fragrances and modern twists on classic concoctions means they’re a brand with whom to invest – rather than impulsively snap up in the heat of the moment. It may be a cliche, but the scent of rose is perfect for spring; Rose Silence unfurls with juicy mandarin and blackcurrant, with the romantic nuances of rose taking centre stage in the heart of the perfume. Rather unusually, the base provides rich and deep notes of patchouli and luxurious cashmere musk, resulting in an incredibly fresh and elegant scent that’s absolutely timeless. 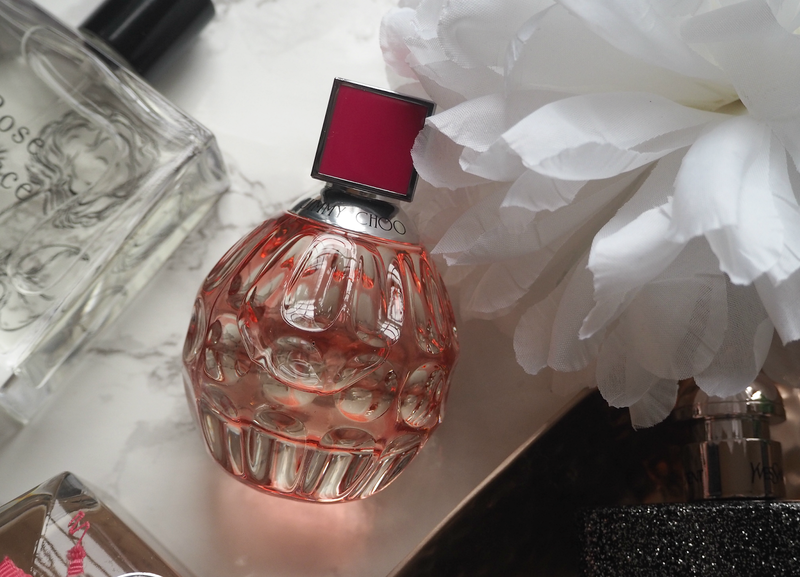 Part of a limited edition line that’s re-launched in a slightyl different bottle every year, Jimmy Choo’s Exotic is a perfect way to dabble in the designer brand without splashing out £500 on a pair of shoes you’re too scared to wear. Blackcurrant sorbet opens this flirtatious scent, along with fresh pink grapefruit, passion flower and tiger orchid, with a base of patchouli and gourmand raspberry. Many designer scents can be too sweet and too girlie, but this perfectly marries femininity with freshness in a way that’s in keeping with the brand identity. You can’t go wrong with their ‘diamond cut’ bottle either. 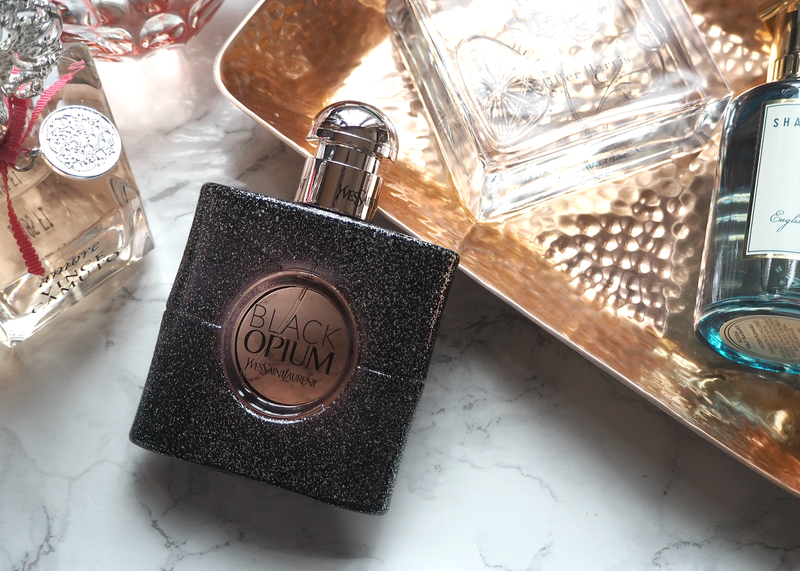 One of the most successful fragrance launches of recent years, YSL’s almost iconic Black Opium is getting a seasonal makeover with the new ‘Nuit Blanche’ incarnation. Featuring accords of white coffee, white flowers and white musk, this is an electric musky floral scent that’s slightly deeper and yet fresher than the original. With fruity notes of orange blossom to counteract the heaviness, I much prefer this version – but similarly, it’s a subtle twist on a bestseller if you’re already addicted to it. 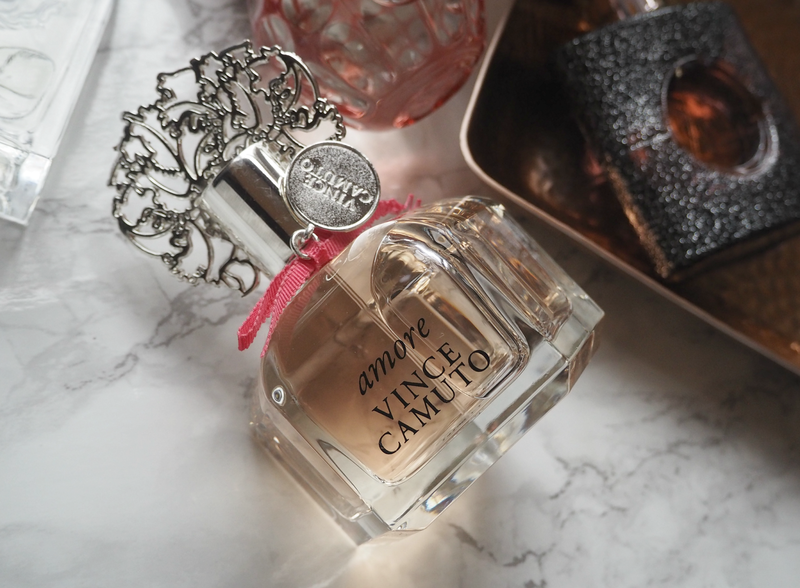 Not a brand I’d personally ever heard of before it landed on my desk, Vince Camuto is actually available in the majority of high street fragrance retailers. The chunky bottle hides a delicate scent that’s been ‘inspired by sensuality, femininity, affection and admiration,’ the result being a fragrance that ‘reflects the modern woman’. The perfume is enriched with the unusual notes of blush orchids, fresh freesia and floating lotus, creating a sparkling and enchanting fragrance that’s so easy to wear. Definitely one for those of you that like a slightly sweeter scent, it’s well worth having a spritz if you’re looking for new perfume inspiration. 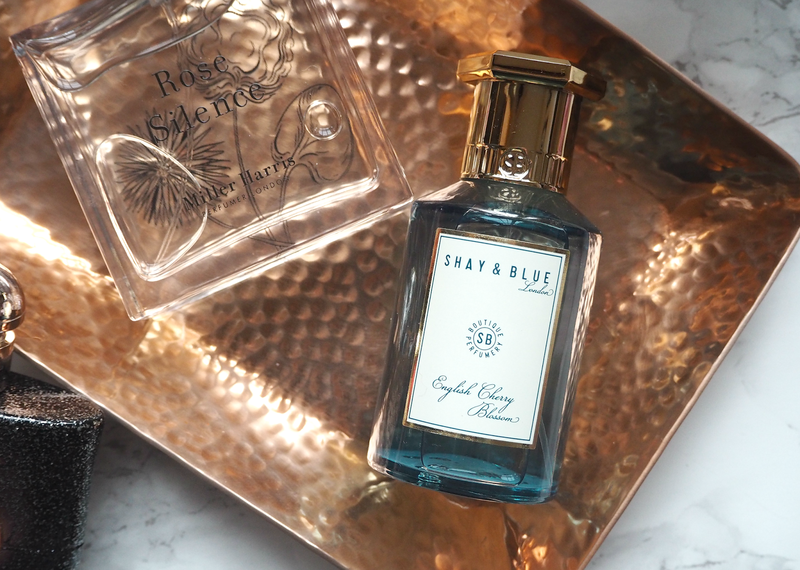 One of the most exciting fragrance brands in the UK right now, all Shay & Blue fragrances are made with real flowers, fruit and spices to give them a fresh and uplifting quality. Considering they’re handcrafted in England, the price point is exceptionally good for such creativity and craft. English Cherry Blossom is the epitome of a British spring day, featuring top notes of bergamot, green mandarin and pink blossoms, and heart notes of fig, cassis, honeysuckle and black cherries. This fullness is enriched with a base of iris and woods to provide a sophisticated soft finish, rather than the traditional sweetness that you may expect. Definitely a firm favourite for this season and beyond. Have you tried any of these fragrances? Do you have any other personal favourites for the spring months? Haha it is isn't it… I think because YSL perfumes were stuffy and old fashioned before it launched, so it's the first one younger customers have been adoring. Oh my! I got to try them one by one. Hope to get samples of these before picking the best one to purchase.